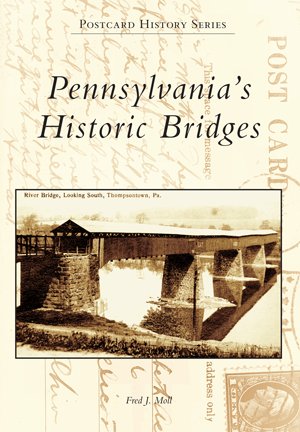 Pennsylvania's Historic Bridges examines the development of different types of bridge structures across Pennsylvania through the world of postcards, many of which are from the early 1900s. The structures featured are constructed from various materials and in a multitude of styles. Also found within these pages are several postcards of pedestrian bridges, canal bridges, trolley bridges, railroad bridges, and an aqueduct. Fred J. Moll has been studying covered bridges for over 35 years and has written three books on the subject as well as various other historical articles. He enjoys photographing and giving tours of covered bridges. He has been the historian of the Theodore Burr Covered Bridge Society of Pennsylvania for 16 years and is a member of the Historical Society of Berks County.